Viva Aerobus is a low-cost Mexican airline that offers flights at very low fares to Mexico's leading destinations and a few US airports as well. 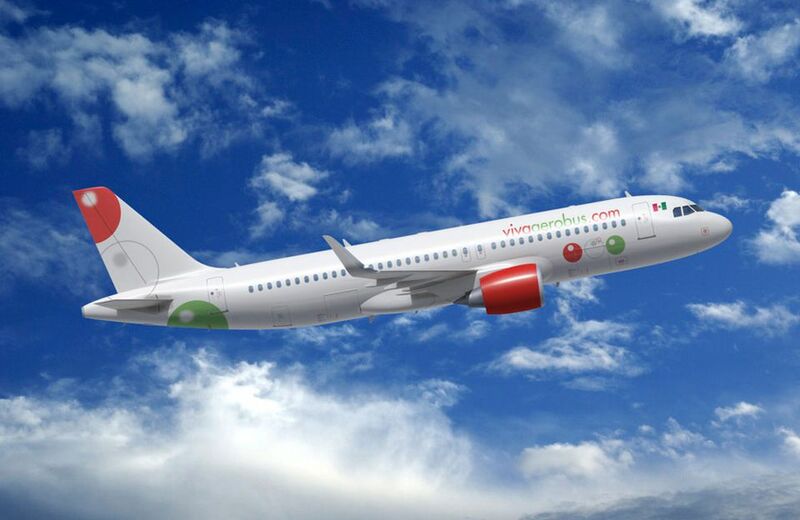 Founded in 2006 in the city of Monterrey, VivaAerobus is co-owned by the founders of Europe's biggest low-cost carrier, Ryanair, and the largest bus company group in Mexico, IAMSA. The airline's main office is located in the Monterrey International Airport, in Terminal C. Like RyanAir, Viva Aerobus operates on the concept of charging very low fares for basic flights and then adding on fees for a variety of specific services which travelers can choose to include or not when purchasing their ticket. You can buy tickets for Viva Aerobus flights online at the website VivaAerobus.com, by phone, at airports and select bus stations in Mexico, or in Viva Aerobus ticket offices. You will get the lowest rate by booking online through the airline website. When booking your flight you will be given the option of a "Viva Light," "Viva Basic," and "Viva Smart" ticket, depending on whether or not you will need to check luggage and how much. The Viva Smart ticket also includes assigned seating, priority boarding, and free date change. There is a cost difference between the three plans. There are several other choices to make during the booking process, including whether you want insurance, priority boarding, an assigned seat, extra luggage allowance, etc. Be careful of options that may be pre-checked and incur extra fees (be sure to un-check options that you don't want before clicking through). With the Viva Light plan, you can take one carry-on item of up to 10 kg (22 pounds) and no checked luggage. The maximum dimensions of a carry-on is 55 x 40 x 20 cm. With the Viva Basic plan, the carry-on allowance is the same, and you are also permitted checked luggage of up to 15 kg (33 pounds). The Viva Smart option allows 15 kg of carry-on and 25 kg in checked luggage. If you'll be traveling with sports equipment, musical instruments, or other baggage that requires special handling, you should include it in your reservation in the "My flight" section. There is a charge of 400 pesos for this type of special baggage. You should choose the maximum baggage allowance that you'll require when you book your ticket because if you need to increase it afterward, or if you go over your limit, the fee is much heftier than at the time of booking. You can check in to your flight online with your name and reservation number up to 72 hours before your departure, and print out your boarding pass. If you wait to do this at the airport and need to see an agent, you will have to pay an extra fee. Viva Aerobus offers international flights to a few destinations in the United States: Chicago Midway, Las Vegas, Miami, Orlando, San Antonio, and Houston. Viva Aerobus has a fleet of 16 Boeing 737-300 which have a capacity of 148 passengers, and four Airbus 320 aircraft with a capacity of 180 passengers. VivaAerobus offers a menu of drink and snack options which passengers may purchase onboard flights, which includes soft drinks, coffee, beer and spirits, sandwiches, chips, and cookies. VivaAerobus flights have an onboard magazine called EnViva, but the airline does not offer movies or any other entertainment. Bring a book or a movie pre-downloaded on your phone or tablet to watch. VivaAerobus offers ground transportation and shuttle service in several popular destinations. The service is called VivaBus and provides bus transportation from the airport to downtown or other popular locations. You can purchase tickets for the VivaBus online when you buy your flight ticket.